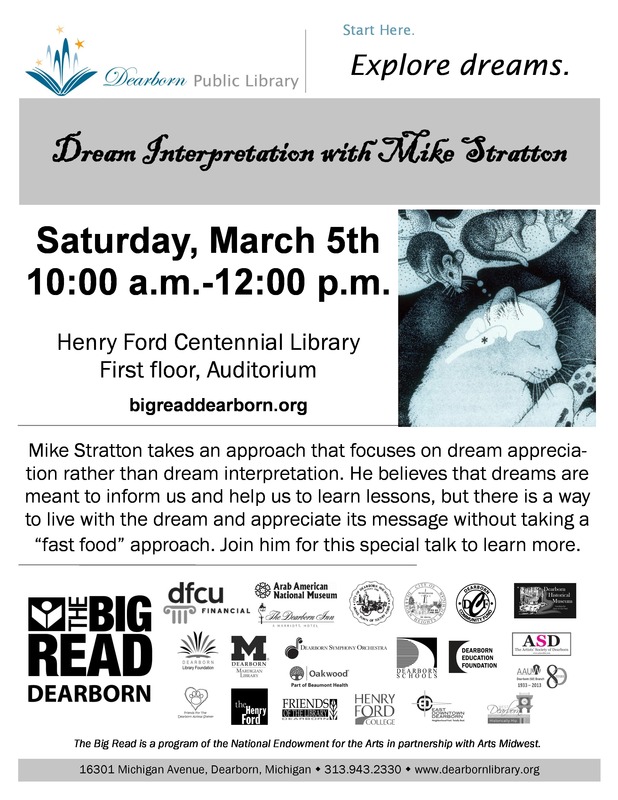 Please don’t miss the dream interpretation event on Saturday, March 5, 10 a.m.-noon in the Henry Ford Centennial Library auditorium. 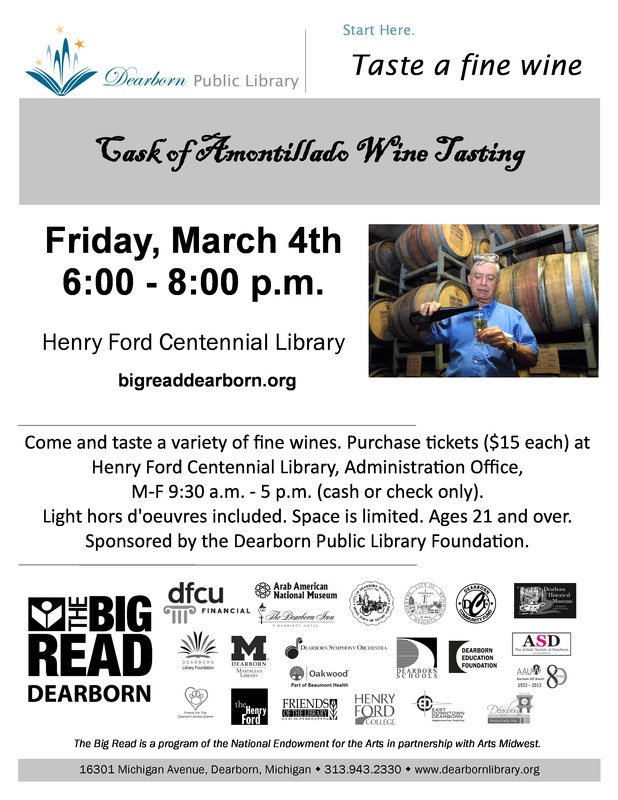 We have a few tickets left for the Cask of Amontillado Wine Tasting, which is happening on Friday, March 4, 6-8 p.m. on the mezzanine level at Henry Ford Centennial Library. Taste a variety of wines presented by Scott Wilson of Great Lakes Wine & Spirits in partnership with Merchant’s Fine Wine, and sample foods that have been donated by local businesses including Bangkok 96, Buddy’s Pizza, Park Place Catering, and Westborn Market. If you want to purchase your ticket ($15 each), please call Library Administration at 313-943-2037 while supplies last. 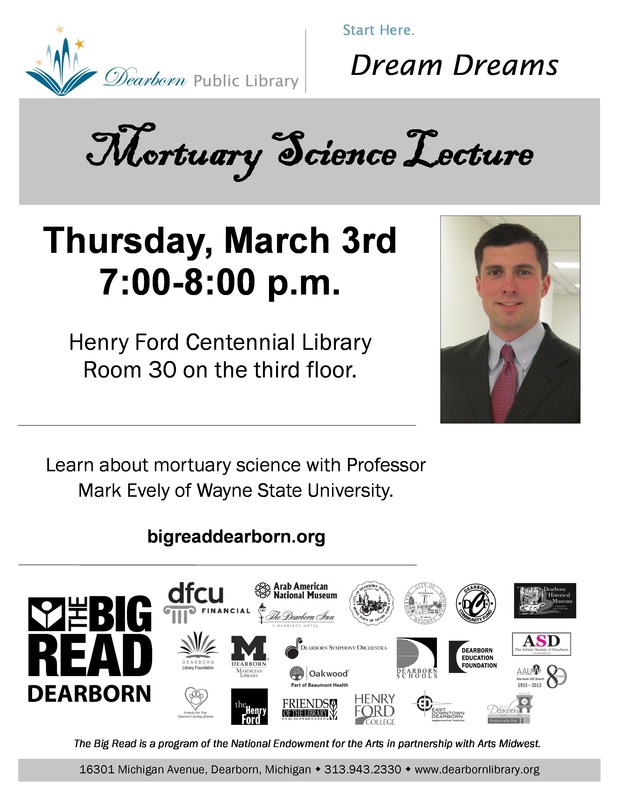 The Mortuary Science Lecture is tonight, 7-8 p.m. in Room 30 at Henry Ford Centennial Library.